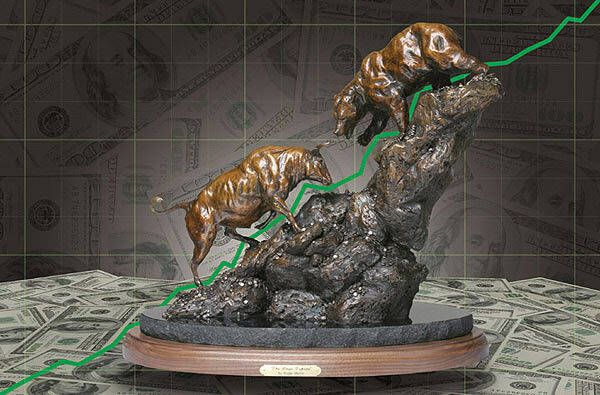 As the quintessential icons of Wall Street, the bear and bull engage in their daily battle. 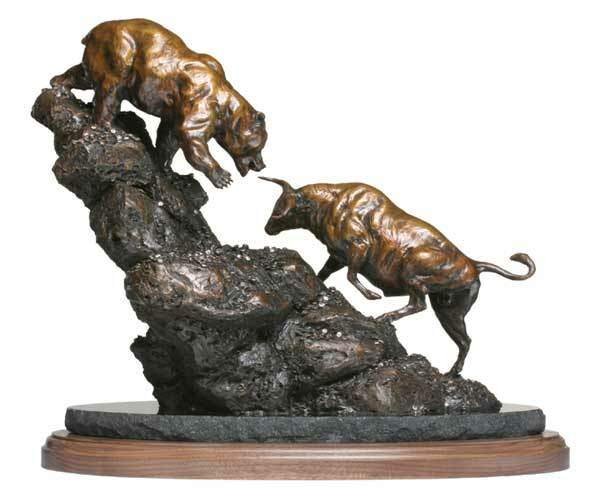 This fine art bronze sculpture is mounted on a base of granite and walnut. A turntable built into the base enabling the piece to be turned and viewed from either side, reflecting the daily direction of the market.